Have you ever sold or given someone a quilt and later realized that you have no picture, no record, no anything to remember that quilt? What a terrible realization! 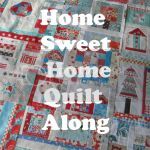 Pat Sloan invited me to do a review of this new quilt documentation software months ago but with apple season and the holiday’s it took me awhile to get to it. I have to say though – I’m really glad I took the time to check it out. It truly is a great way to keep record of your quilts. 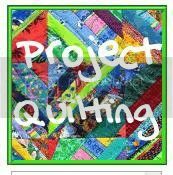 Project QUILTING is about to start up again and this is a great way to document all the fabulous quilts you make (you’ll have 6 COMPLETED quilts in the next 12 weeks if you participate in all the challenges). I love how they’ve thought of everything important you should remember about your quilt! Once you’ve added all the information you want about your quilt just keep on going. Eventually you’ll decide it’s time to explore the rest of what Quilt Album has to offer – like the Quilt Summary Page. It’s a great way to check out all that you’ve accomplished. 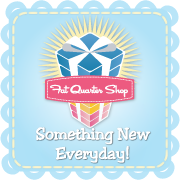 And – easy to find a quilt you want to print cards or details about. 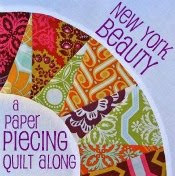 Quilt Album makes it really easy to create a gorgeous printed record of your quilts. Here’s an example of what the page would like of my ‘Galaxy’s Converge’ Quilt. 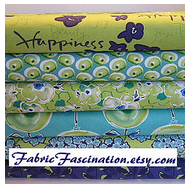 You can also print up business cards, cover pages, greeting cards, and labels (HUGELY important for quilts!). Spring Water Designs also did a review of Quilt Album and you can see all the goodies she printed from it! I have made it a point on my to-do list to add at least 5 quilts into quilt album a week until I’m caught up with all that I currently have record of. Once they’re in it will be easy-peasy to keep up with all the new one’s I’m going to create. Guess what!? You can do this too! You can download the program for $29.95, or if you prefer to have it on a disc, the price is $39.95. But, if you use the discount code AGC-RY you can save $5 at checkout! 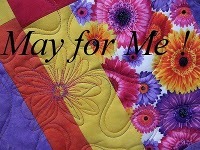 Just go to QuiltAlbum's site to order and be sure add your discount code at checkout. A great way to start the New Year right! Keep track of those heirloom pieces – you and your family will appreciate it! Love it, and it's really easy to use! 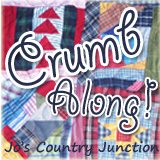 So glad you enjoyed the program and got so many quilts documented now.. awesome!